"And heaved and heaved, still unrestingly heaved the black sea..."
Yesterday, I tossed out everything I'd written so far and began anew on "Behind the Wall of Sleep, Below the Starless Sky, Above the Sea of Worms." I wrote 1,235 words. After I wrote, Spooky and I left the house and went down to North Kingstown to get doughnuts from Allie's. Forget the ubiquitous Dunkin' and even forget the once mighty (and of my childhood) Krispy Kreme – for both have turned to the syrupy, bland foulness of HFCS. Also, disregard silly, precious hipster pastries. 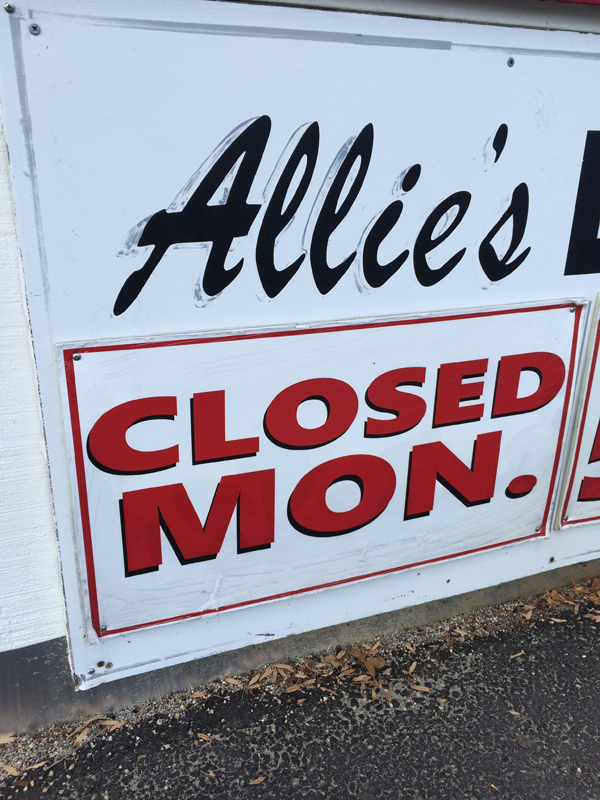 Allie's, though, Allie's remembers what a true doughnut is. And I can still eat them, if I dunk them first in coffee. Last night, after leftover five-legged chicken, we watched the first two episodes of Twin Peaks: The Return over again, and then we watched the second half of Rolling Stone: Stories from the Edge.